Here's what my old manual Remmington looked like. Someone on e-Bay wants $299 for its memories. Mine are worth a whole lot more, but I don't need to spend $299 to recall them. Mark Twain, according to Wikipedia, claims that he was the first important writer to present a publisher with a typewriten manuscript. It was the 1886 manuscript for “The Adventures of Tom Sawyer.” Historian Darryl Rehr challenged the claim, claiming it was Twain’s “Life on the Mississippi” written in 1883, that was the first. I taught myself to type on an old Remington manual typewriter. 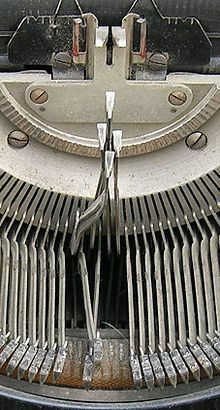 I then got a job as a Western Union typist – I typed up telegraphs from people who called on the phone to send one. My biggest thrill was the day Tennessee Ernie Ford was on the other end of the line. My typing speed went from 45 words a minute to 120 words a minute. But the job only lasted a few months before I quit to become barefoot and pregnant for what seemed like an eternity. It was in the middle of my seven consecutive years of changing diapers that I decided I wanted to be a writer. For the next few years I banged out terrible fictional prose and dookie poetry on that old Remington. That’s how you began to be a writer. Then I stuck into the back door of a small newspaper as a darkroom flunky, and over the next four years worked my way up to being the paper’s star reporter. I thought of myself as a cross between Lois Lane and Brenda Starr. Eleven years later, when I was a reporter at the Fort Worth Star-Telegram, I typed up my first story on a computer. I hated it – for all of two weeks. At home, however, I was still typing away on that old Remington. But as the computers at work got better and better, I finally gave up my Remington for a home computer. 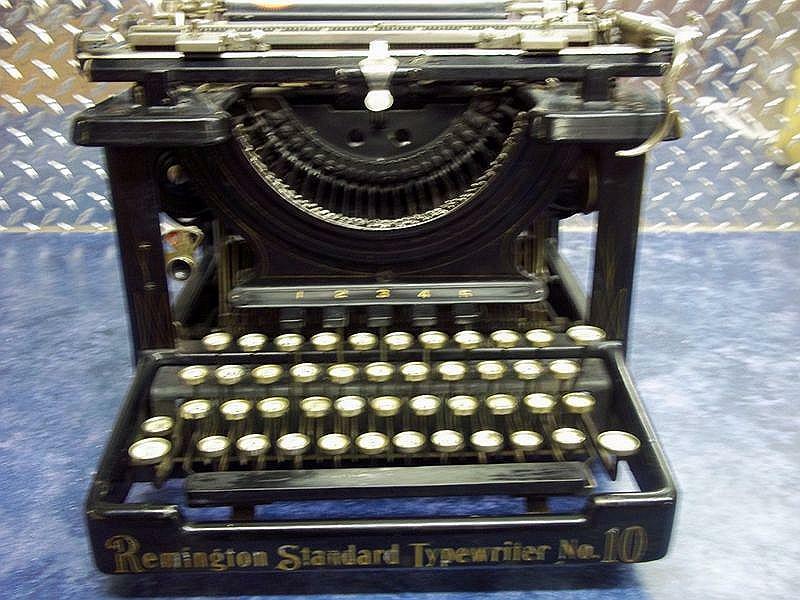 I don’t question that the writing was easier and faster, but to this day, I still miss my old Remington. 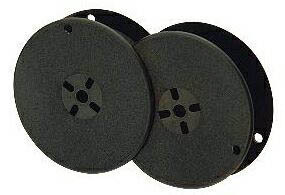 Remember changing out typewriter ribbons, and making carbon copies. I suspect only those of us with more years behind us than ahead have such memories. There was something extremely gratifying about manually slamming the carriage back at the end of each sentence. Then there was the ability to yank a piece of paper, containing nothing but meaningless dookie, out of the machine. The ritual then was to crumple it into a ball and toss the wad into a nearby waste basket.On especially bad writing days, the basket would be overflowing and the area around it a jungle of paper balls. One simple does not get the same physical release of frustration from merely using a finger to hit the delete button. The truth is however, that I don’t want to go back. Couldn’t even if I wanted, but it sure is nice to have memories. And that old Remington typewriter, which eventually was donated to a charity thrift store, created lots of them. Too bad I didn’t keep it. I think I paid $7.50 for it at a garage sale in the early 1960s. I noted today that one similiar to it, if not the exact model, was listed for a $299 minimum bid on e-Bay. Bean’s Pat: Wistfully Wandering http://tinyurl.com/836mqtu Ditto what she said. A blog for those with wanderlust in their souls. Be sure and check out her first 25 reasons, too. Ah yes, the manual typewriter. Mine was a cast off from my Dad’s office that he brought home for me. It was a big clunky thing and I loved it. I spent many hours tapping out stories and poems on it over the years until a computer took it’s place in my life. I can hear Baby Elephant Walk playing in the background. Not sure why that was the music that popped into my head, but it was. At my school, our business teacher is retiring this year … she has kept on typewriter from each decade to add to the ones that were already there when she took the job … i think there is one of these black beauties in her closet. Oh gosh, the manual typewriter. I wish that my family would have kept ours. I would love to just stick it in the corner of my study, more as a keepsake than to use. Just to remind myself how young I was when I first started writing stories. I STILL think of my old typewriter that my parents bought for me when I was in junior high school. I would sit it on our dining room table. I LOVED changing the ribbons, getting my fingertips all black and red from the ink, and like you the ding a the end of the sentence and slamming the carriage back into place. I still miss it but in the nostalgic way. I wish I’d kept mne also. I would have it displayed somewhere in my house. They were beautiful and so is your story!